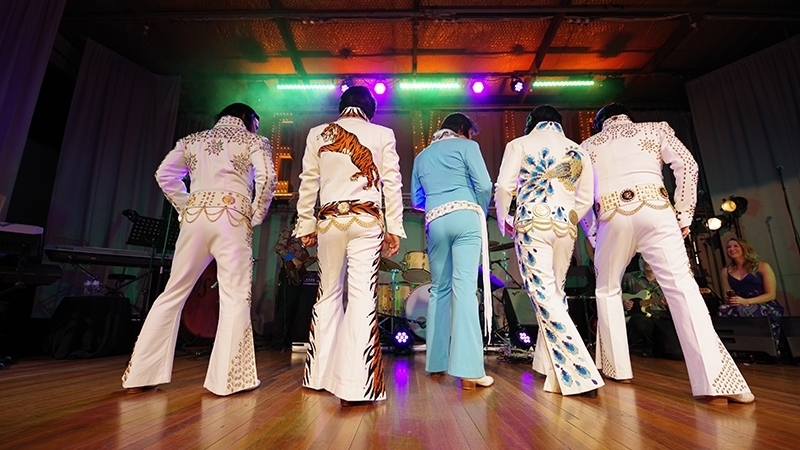 Experience some of the best Elvis tribute artists in the industry as they compete for their place in history at the preliminary round of the Ultimate Elvis Tribute Artist Contest, officially endorsed by the estate of Elvis Presley, Elvis Presley Enterprises Inc. In this show, see the top eight finalists from Friday's heats as they strive for a place at Elvis Week in Memphis. This contest is a search for the Elvis tribute artist who best represents Elvis in the area of vocals, style, stage presence and overall performance. The MC for this event will be the dynamic Greg Page.